182 pages | 15 B/W Illus. Growing student numbers, increased student expectations, new approaches to learning, and fast-paced technological advances all contribute to the need for universities to take a more strategic approach to their buildings, including formal and informal learning spaces. 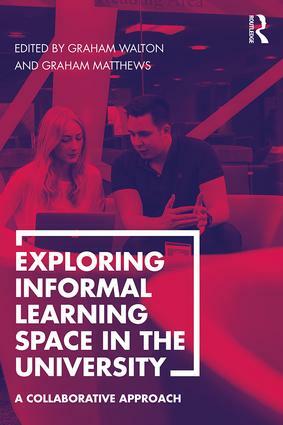 Exploring Informal Learning Space in the University addresses the issue of informal learning space from the perspectives of a comprehensive range of stakeholders, including students, academics, facilities managers, university managers, IT managers, architects, interior designers, and librarians. With contributions from a range of experts, practitioners and academics around the world, this book uses a combination of case studies and theoretical discussion to explore the rationale and theory of informal learning space alongside the practicalities of its planning, development and utilization. The volume is at once ambitious and pragmatic, combining innovative thinking with a firm awareness of practicalities, including the varied constraints faced by universities and the need to work in tandem with broader strategies. Advocating broad collaboration at both planning and delivery stage, the result is essential reading for anyone involved in the delivery of learning space provision – from architects and designers, to university managers and strategists. It will also be of particular interest to academics, researchers and postgraduate students engaged in the study of library & information science or higher education policy and strategy. "The significance of space in supporting learning in higher education, overlooked for too long, has in recent years begun to receive the attention it deserves. But it has become increasingly understood that learning does not take place only - or even primarily - in the lecture theatre, seminar room, library or laboratory. This book is a valuable contribution to our understanding of how the design and management of informal spaces right across the university contribute to learning, and what universities and colleges need to do to make the most of these vital spaces." "A fascinating and important volume on the definition, design, use and management of informal learning spaces in libraries, neatly blending theory with practice. As well as exploring the tension between tradition and innovation within HE as changes in pedagogical practices inform new approaches, the book details the relationship between spaces and learning theory. An essential read for anyone involved in planning or designing library spaces, or improving student experience." 12 Informal Learning Space: The Future – Swimming with Whales? Graham Walton is an Honorary Research Fellow in the Centre for Information Management at Loughborough University, UK. He has over 30 years of experience in higher education and is editor-in-chief of the New Review of Academic Librarianship. During this period, he has been involved in learning space provision, including impact assessment. Graham Matthews is Professor of Information Management in the School of Business and Economics at Loughborough University, UK. He has been involved in the design and development of new and refurbished learning spaces in the university.